Technology has certainly impacted the way people view banking. In today’s day and age, you no longer have to wait in line at the bank to cash a check or deposit a paycheck. Apps allow you to take a picture of a check to deposit it or send money to friends via text. The point is, your computer, smartphone, and tablet make it easy to view your account and pay bills online, so why shouldn’t businesses be receptive to that? 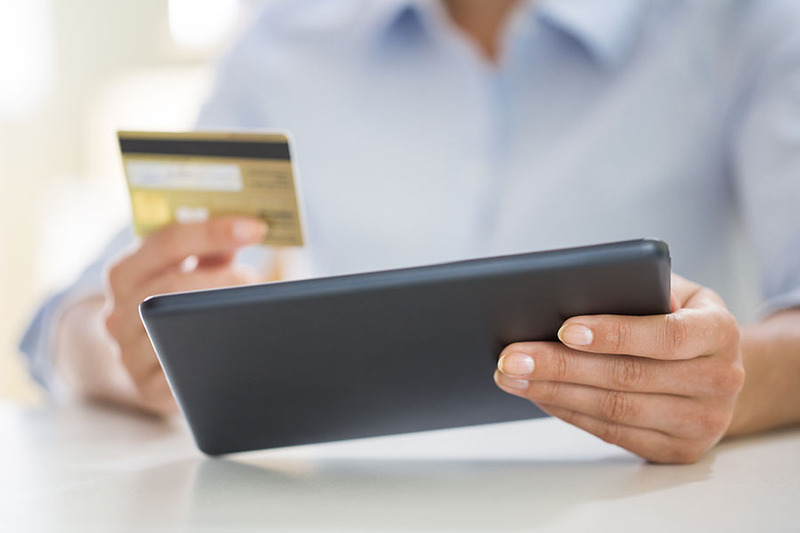 Believe it or not, there are still businesses that do not offer a form of online payment. Affordable Family Storage in Billings, MO, however, is not one of them. Online bill payments are a breeze with Affordable Family Storage. All you have to do is click the blue “Make A Payment” button conveniently located at the top of every page of the website. Then follow the detailed instructions that help you find your storage unit location. Click the blue “Pay Here” button, and sign in to your account to pay your bill. All that’s left to do now is enjoy the extra space your unit provides you and your home. Some people still prefer and insist on the old stamp and envelope method. That’s absolutely fine, but it’s easy to see that the benefits of banking online certainly outweigh any disadvantages. Convenient - Online bill pay can be accessed through multiple devices, saving you valuable time by eliminating a trip to the bank. This mobility and convenient automatic reminders of due bills ensure you will never have to pay a late fee again with Affordable Family Storage. Safe - Paying your bills online has never been safer. With the constant threat of hackers and credit card breaches, businesses are providing more security than ever to ensure your money and information is safe and secure. Manageable - Controlling where your money goes and when has never been easier or more fun. Apps can efficiently store your payment records for you and let you stay in control of your hard-earned paycheck. Some will even compile your spending habits into a pie chart so you can see exactly where your money goes. Environmental - The easy consolidation and organization of online bill pay eliminates the need for paper envelopes and stamps, meaning less of a paper trail for you and more trees for the environment. Affordable Family Storage conveniently accepts payments online and in person. Our secure website also allows you to easily set up autopay so you can rest easy knowing you won’t miss a payment. If you are looking for a storage unit that fits your personal storage needs, look no further. With 10 convenient locations across Kansas, Iowa, Nebraska, and Missouri, and units starting as low as $40, Affordable Family Storage is self-storage you can depend on.